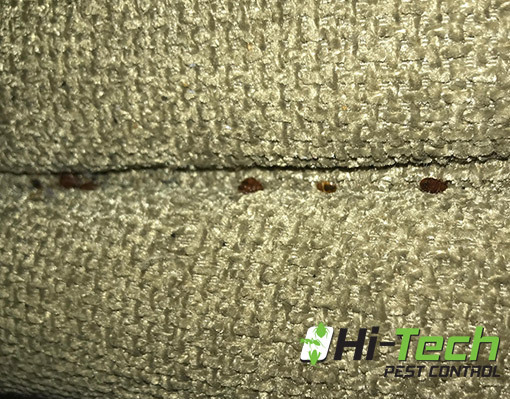 Do you have evidence of bed bugs? 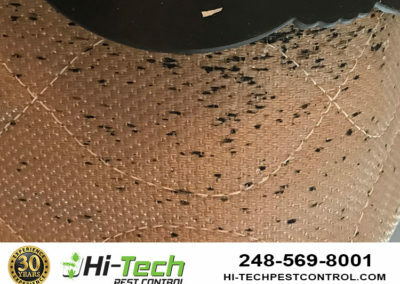 Call Hi-Tech Pest Control Today! 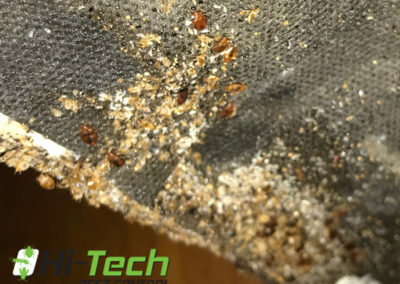 How can I avoid bed bugs? Preventative Measures You Can Take Against a Bed Bug Infestation! 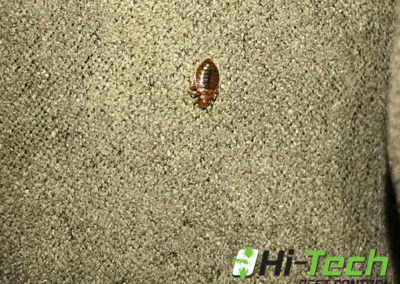 Evidence of bed bugs comes in all types of forms. 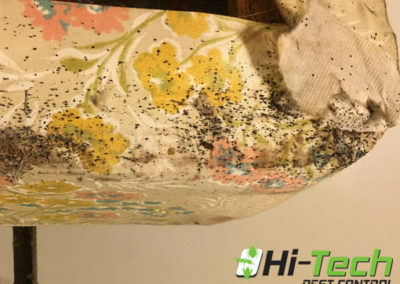 Some people suspect they have a bed bug infestation because they stayed at a family member’s home or a hotel that was later found to have bed bugs. 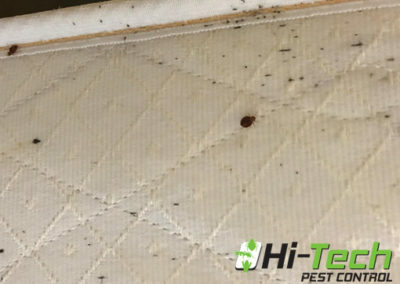 Other people find mysterious bites on their bodies or think they feel the bed bugs crawling on them at night. 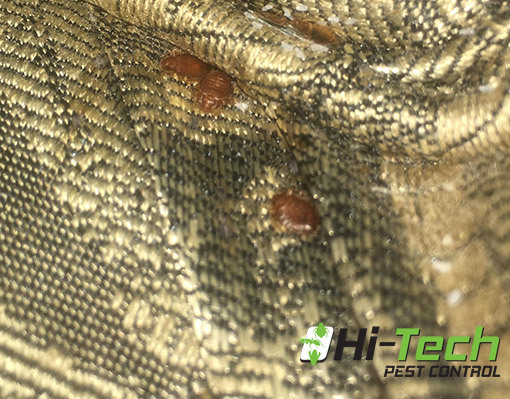 Some people see bed bug remnants, such as bed bug skeletons, excretions, or specks of blood on their sheet. 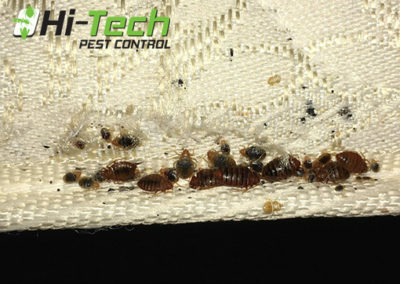 Finally, others actually see live bed bugs in their mattress, box spring, bedding, or other furniture. 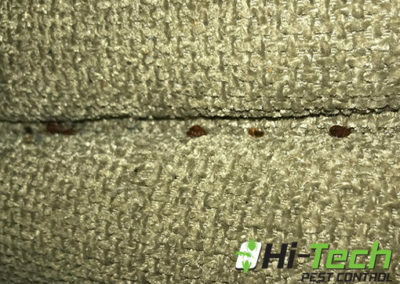 How do you know that you have bed bugs in your home for certain? 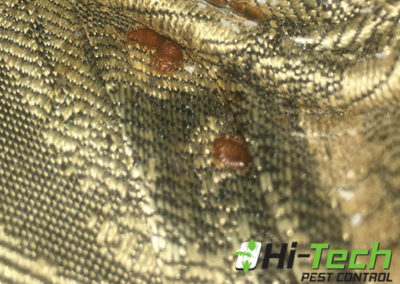 Identifying bed bugs early on is the most crucial step to successfully treating bed bugs. 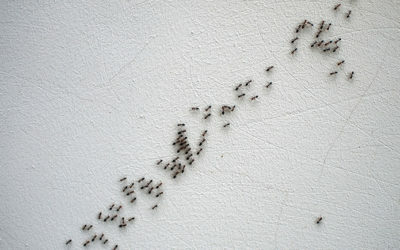 Do you need a simple way to confirm or deny the presence of bed bugs in your home? 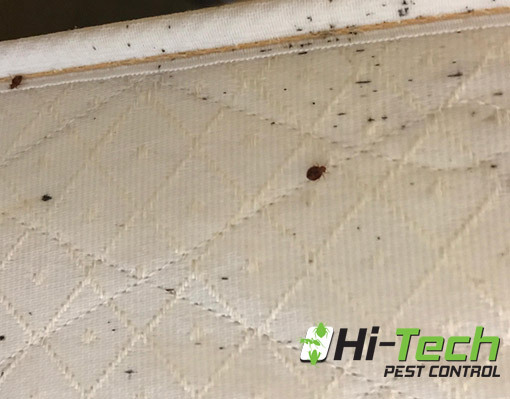 Evidence of bed bugs is not too difficult to come by. Go to your nearest store and purchase a roll of double-sided tape, as well as painter’s tape. Put a strip of painter’s tape around the perimeter of the headboard and then apply the double-sided tape on top of that (to protect the finish of your headboard). Then, take the double-sided tape and apply it on the floor around the perimeter of your bed. 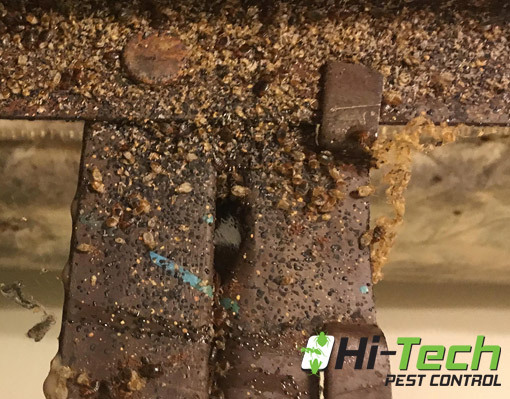 Check the tape every day for evidence of bed bugs, such as dead bed bugs or bed bug remnants such as the skeleton or droppings of the bed bugs. 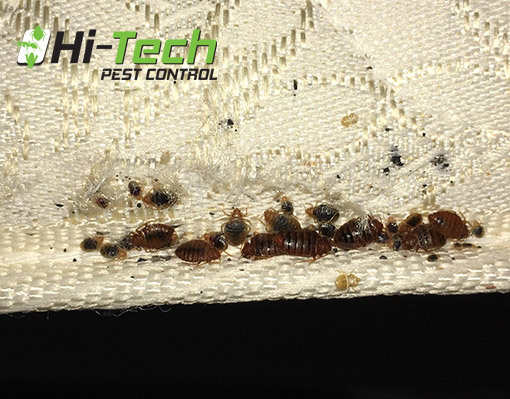 Identifying bed bugs in this manner will enable you to give your pest control professional a clear picture of what type of issue you’re dealing with. 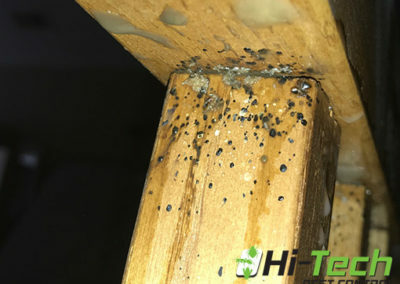 So you think you have bed bugs. 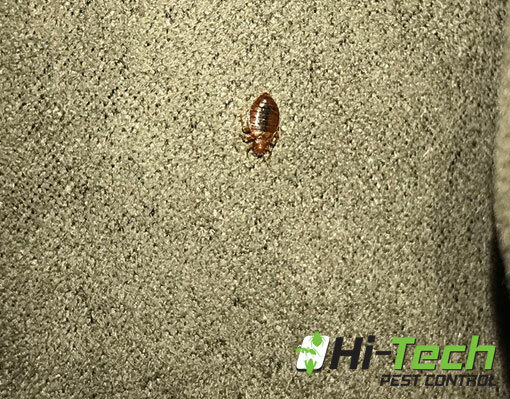 Until the exterminator arrives, what are some preventative measures against bed bugs spreading throughout your home? 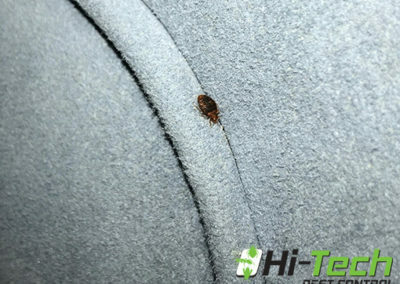 Heat is the most effective treatment for bed bugs. Remove all of your bedding, curtains, clothing, and other linens in the house and wash them in hot water, then dry them on high heat. For objects that cannot be washed in the washer, such as stuffed animals, place them in the dryer on the highest heat setting for 30 minutes. Put all of these items in black garbage bags and close them tightly to prevent the bed bugs from escaping and spreading throughout your home. 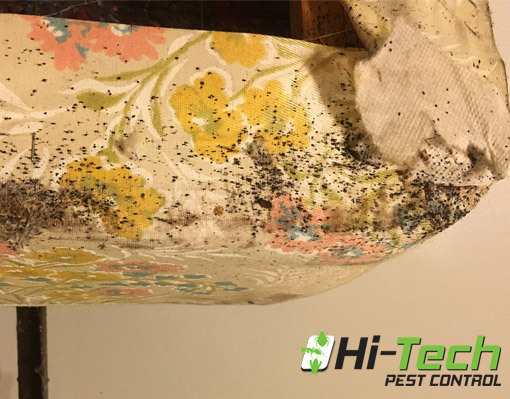 Be sure to save any bed bug remnants you find, such as bed bug carcasses, live bed bugs, or bed bug feces, and place them in a container or a sandwich baggie for the exterminator to inspect. 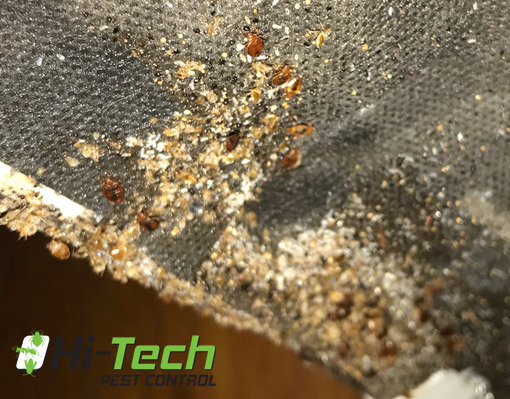 Successful bed bug treatments are almost like solving a mystery, so any clues you can provide for the exterminator can help solve your bed bug problem. Inspect all purses, suitcases, backpacks, and other bags for evidence of bed bugs. 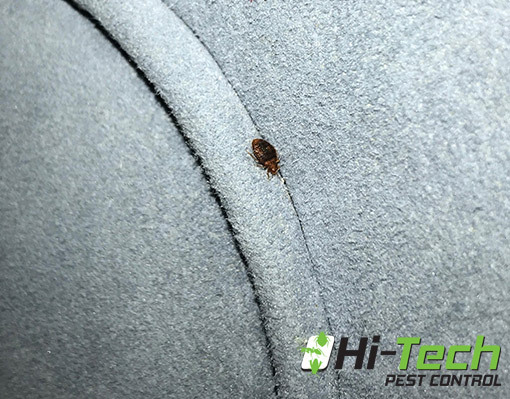 Remember, bed bugs are hitchhikers, so these items are often used as a vehicle for bed bugs to get into your home. 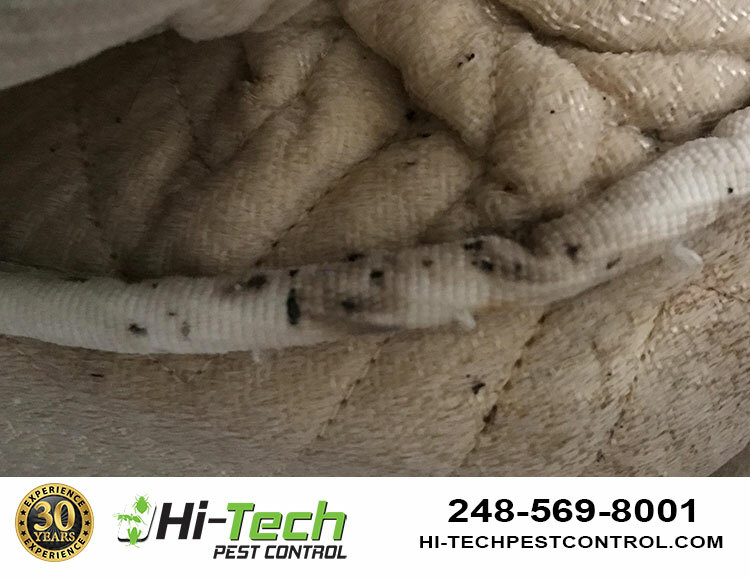 To keep any stray bugs/eggs contained, purchase a tightly woven, zippered cover to put over your mattress and your box spring. Inspect the cover(s) to ensure that they do not have any holes, and be sure to zip them up tightly. 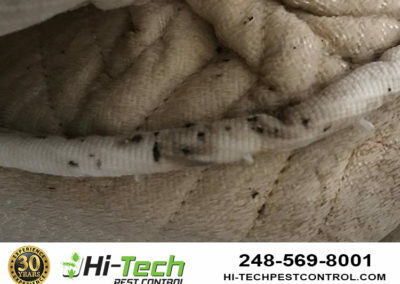 Keep these covers on for a year, as bed bugs can live for up to a year without feeding. You may want to replace these items if your mattress was severely infested with bed bugs. Be sure to repair any peeling wallpaper or cracks in the plaster or the bed frame. 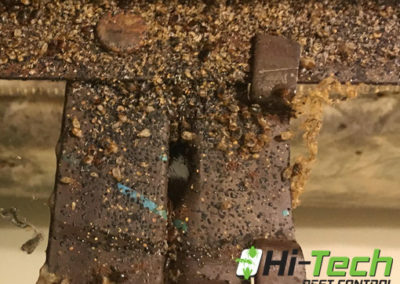 Remember, bed bugs are about the width of a credit card, so it is imperative that you keep that in mind when thinking of where bed bugs can hide. 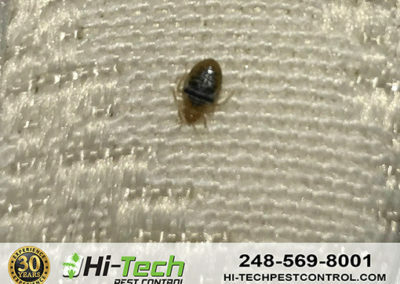 Do you think you have a bed bug problem in your home? 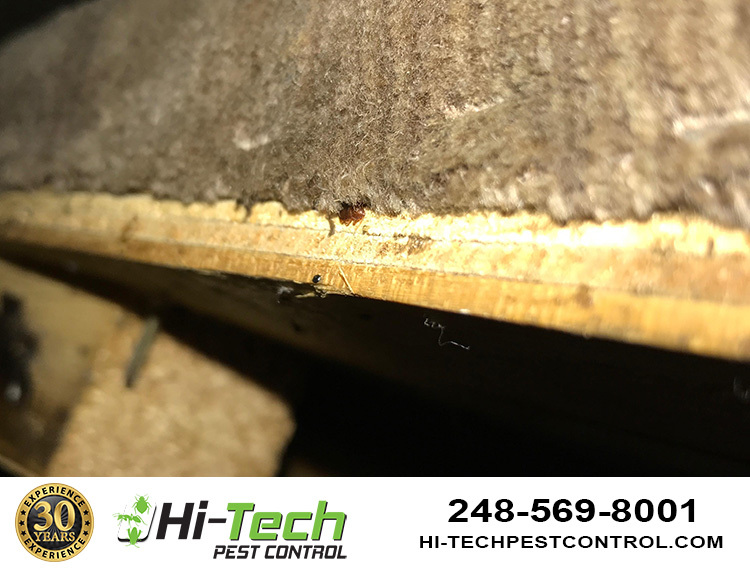 Call Hi-Tech Pest Control at 248-569-8001! 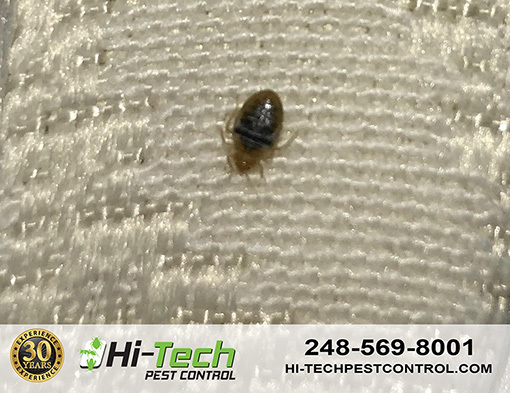 We are Michigan’s bed bug extermination experts, serving all of Wayne, Macomb, and Oakland County, MI since 1986. 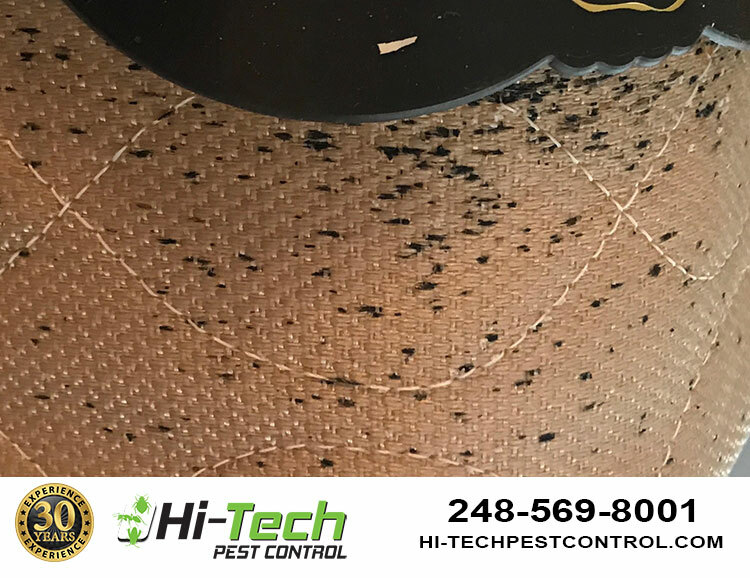 We’re the only pest control company in Michigan to offer a 6 month warranty on all bed bug treatments. Learn more about landlord and tennant pest control considertations here. Contact an experienced pest control technician today!